Install / Move radiator - MrFix finds you a reliable plumber or fitter within 3 hours. Install / Move radiator - MrFix finds you a reliable plumber or fitter within 3 hours. Install / move radiator? Ask plumber service MrFix! Huidige combiketel is stuk. Moet vervangen worden door door een 2hands gekochte remeha. Graag een prijsindicatie vooraf. Ik zoek een loodgieter in Amsterdam om 5 kachels in ons 65m2 appartement te fixen. De kachels maken veel lawaai. We verwachten dat het veroorzaakt zou kunnen worden door een luchtbel in de kachels of dat de ketel (merk: Vent) weer moet worden bijgevuld. Keep your house safe, dry and warm by having experienced plumbers or fitters for installing or moving your radiator or water boiler. Water is nice but it has to be controlled. Leakage or flooding can cause serious problems. So make sure that your new plumbing is done in a professional way. MrFix has contracted experienced plumbers for you! Don’t take the risk and hire a professional plumber: MrFix will have one at a fair rate. Safety and reliability are top priority for MrFix. Therefore we selected reliable and experienced plumbers. We will help you to maintain a sound and safe living environment for you and your family. Make your “DETAILED DESCRIPTION OF JOB” as precise as possible: please specify products, materials, measures, obstructions or other limitations. For good quality and sustainable plumbing work we can arrange an experienced professional at a fair rate. Use our expert to install or move a radiator or install your new boiler. Our plumber will do the job in a professional way. You can contact MrFix via the site 24/7 for emergencies and other urgent plumbing jobs. We will connect you to the right plumber for your plumbing job within 3 hours, and often faster than that. MrFix-approved plumbers do your job right 1st time: every plumber who works through MrFix has been screened by MrFix. Normally installation jobs are not very urgent. They need careful planning. But if you have an urgent job you can contact MrFix via the site 24/7. We will connect you to the right plumber for your plumbing job within 3 hours, and often faster than that. MrFix-approved plumbers do your job right 1st time: every plumber who works through MrFix has been screened by MrFix. 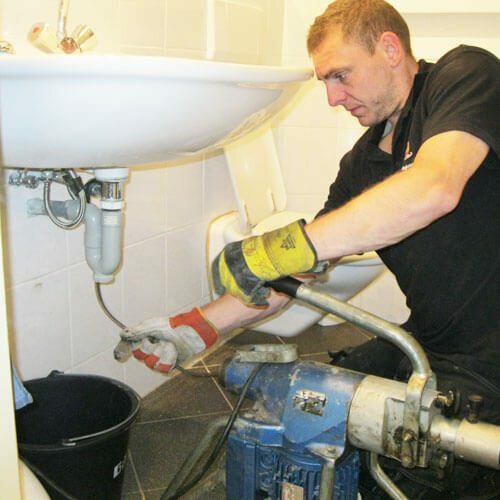 Our skilled plumbers are ready to do every urgent plumbing job in Amsterdam, The Hague and the rest of the Central Netherlands with quality and accuracy. Need a plumber to install / move radiator? Whatever your plumbing job is, MrFix has the best network of experienced, reliable plumbers in Amsterdam, Rotterdam, The Hague, Utrecht, Eindhoven and elsewhere in the West and Centre of The Netherlands. Fill in the form , then we will match you as quickly as possible to the right plumber or other expert in your region.